UK broadcast regulator Ofcom has opened three new investigations into the due impartiality of RT (formerly Russia Today), bringing its total number of ongoing probes into the Kremlin-backed broadcaster to 11. Ofcom is now assessing whether there was sufficient balance in two news items and one edition of Crosstalk, RT’s flagship current affairs debate programme, in the past month. On 20 April Crosstalk focused on the ongoing conflict in Syria, and specifically US foreign policy in Syria, asking if it was “war for war’s sake?” or whether the goal was partition or a means of “sticking it” to Iran and Russia, saying all were “poorly thought-out options”. 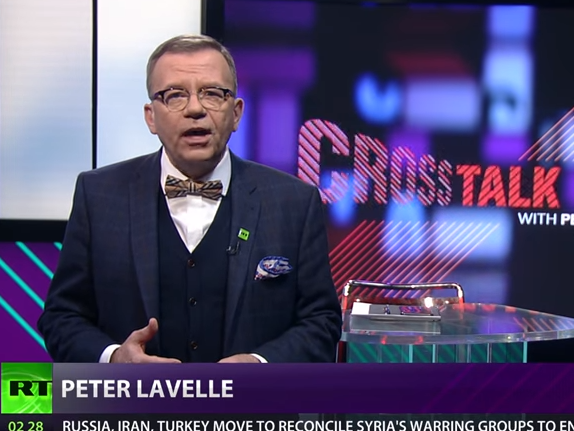 Host and US journalist Peter Lavelle (pictured) was joined by guest panellists US investigative journalist Gareth Porter, independent Syria journalist Danny Makki and Mohammed Cherkaoui, professor of conflict resolution at George Mason University in Washington. On 26 April, RT’s news programme featured an item captioned “Face of Nationalism” which discussed the Ukranian Government’s position on Nazism and the treatment of Roma Gypsies, with Ofcom assessing whether views put forward offered sufficient balance about the Ukranian Government. Thirdly, on 4 May, a news item aired focusing on the reported treatment of anti-fracking activists by the UK authorities. The report included interviews with Bob Dennett, co-founder of Frack Free, and Joseph Corre, an anti-fracking activist, prompting Ofcom to assess whether it offered sufficient balance on the subject of fracking in the UK. The regulator said it starts investigations when it considers a broadcaster may have breached its codes, but added it was important to note this “does not necessarily mean the broadcaster or service provider has done anything wrong”. Ofcom said last month it had noted a “significant increase” in the number of RT programmes warranting concern since the poisoning of ex-Russian spy Sergei Skripal and his daughter Yulia in Salisbury on 4 March. 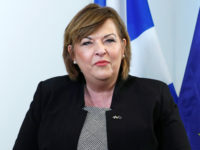 It began monitoring the RT service “intensively” and subsequently opened seven investigations into the channel on 18 April. These investigations, which are still open, are looking at two news programmes, two editions of Sputnik, the weekly show presented by George Galloway, two editions of Crosstalk, and Worlds Apart with Oksana Boyko, all between 17 March and 16 April. At that time Ofcom had already launched one other investigation into RT, looking at former First Minister of Scotland Alex Salmond’s chat show and “audience tweets” used during the programme. Ofcom provisionally found the tweets were not sent by audience members, in a potential breach of rules on due accuracy. The regulator previously said it would publish the outcome of all of these investigations as soon as possible. It could revoke RT’s licence, held by TV Novosti, if it considers the broadcaster is not “fit and proper”. RT provides a Russian perspective on UK and global news for UK audiences and has an average audience of 3,400 at any given point during the day. It has an average weekly reach of 1.06 per cent of adults, according to figures from the Broadcasting Audience Research Board. Twitter, thank you for your blog post.Really thank you! Awesome. The ongoing propaganda war against Russia only benefits those who deceive the public interest. Complicity in such completely undermines journalism, reducing it to a tool of the state. Ofcom’s investigation doesn’t help counter such an impression.